Please note: this tutorial using the ZOOM Framework’s automatic updates. 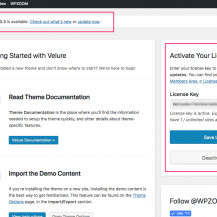 For instructions how to update your theme, rather than the ZOOM Framework, please see this tutorial. If the automatic updates fail, please also refer to the linked tutorial. 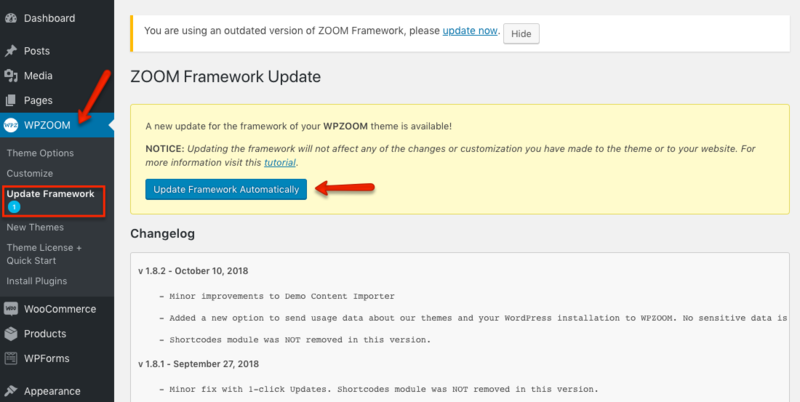 If you have made any changes to the ZOOM Framework files, automatic updates may over-write your changes. Please refer to the changelog and update files manually as necessary. 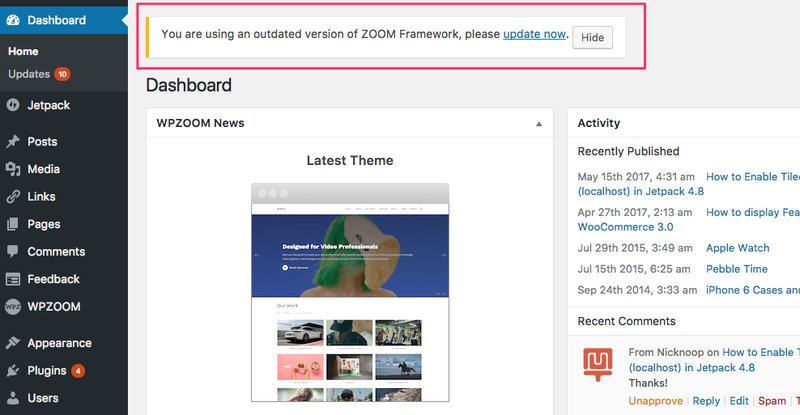 Keeping the ZOOM Framework inside your theme up-to-date is really easy to do thanks to the framework’s automatic updating capabilities. 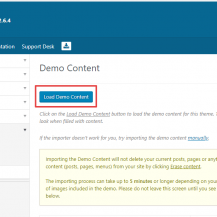 This tutorial will walk you through the process of using the automatic updates. If you can see the update nag, an update is available. If you don’t see anything, you’re up-to-date! It may take up to 72 hours for the update nag to appear after a new version of the framework is released. Sometimes things go wrong. For this reason, we recommend you make a backup of your theme before continuing. Please refer to this tutorial and find the section on backups for more details. All you need to do is click “Update Automatically” and the framework will do its magic, downloading the new version of the framework, extracting it and installing it. If you then load up the WPZOOM options page, you’ll be able to see the version of the framework you now have, which will be the latest version.